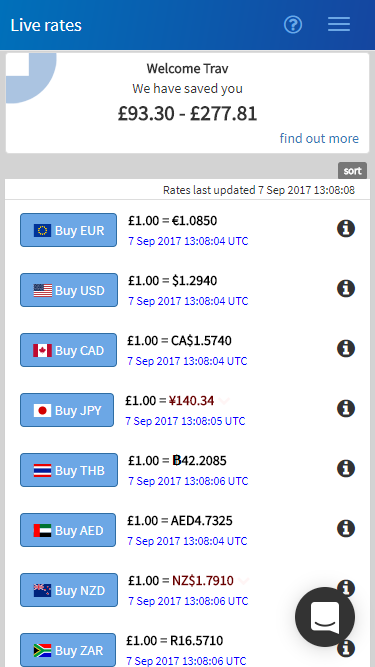 Members currently have to sign in to the app or website in order to view our latest exchange rates. This update means members can now view the latest exchange rates on any mobile device without signing in (provided you have signed in once on that device since this update). Members can also change the order in which currencies appear on their home page, allowing them to prioritise their most frequently purchased currencies. 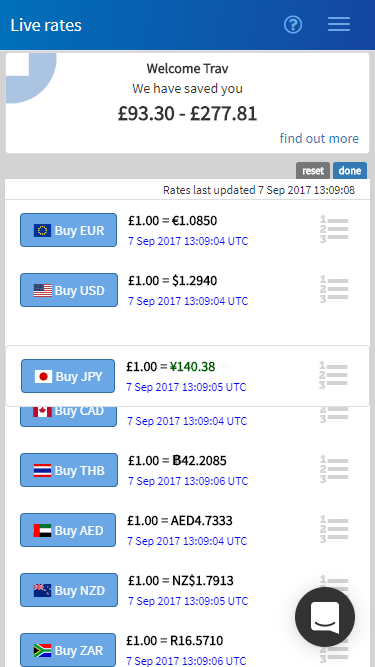 When you sign in to the app or website, you can change the order in which currencies are displayed on your home page by selecting the “sort” option. This displays each currency with a “grab” box on the right, which you can use to drag that currency up and down the page. You can move as many currencies as you want, and when you are done just hit “done” to save your selection. 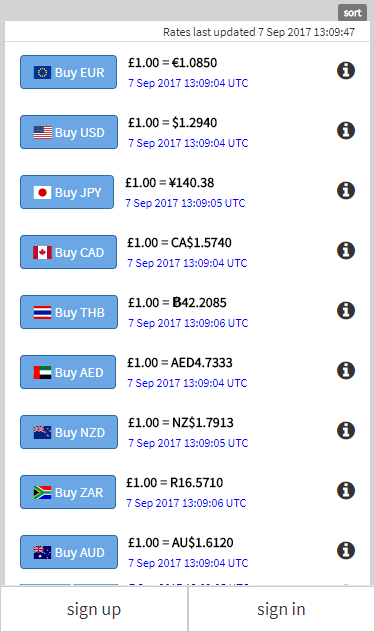 Your home page will now permanently display the currencies on this device in the order you selected. Now when you sign out, the rate board is automatically shown on this mobile device in the order you previously saved. You will see the latest exchange rates without needing to sign in on this mobile device.